Gasera > Blog > Can cars create air pollution even when they are parked? Evidently, cars are one of the biggest causes of pollution and greenhouse gas emissions. There are plenty of studies illustrating the variety of car pollutions and how they affect to our daily lives. 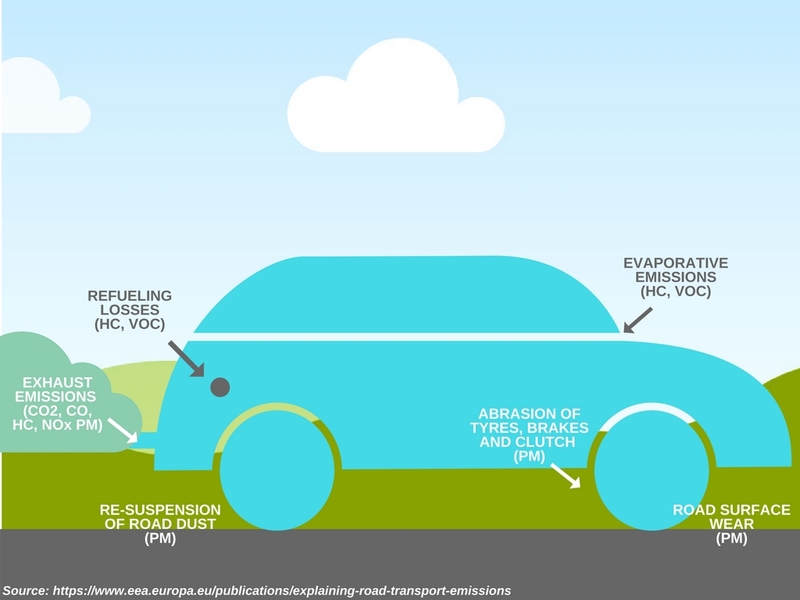 Overall, car and transport emissions are measured though the lifecycle of car, from production to disposal. Car manufacturing, logistics, driving and eventually scrapping are well known sources of emissions. Still, debate about pollution created by cars is usually related to exhaust emissions, combustion of gasoline or whether electric cars or hybrid cars are less polluting than fuelled cars. While measurements and data show evidence back and forth for the environmental friendliness of different types of cars, are there any other sources of car emissions, that we do not normally consider? For example, do cars – electric, hybrid or fuelled – pollute when they are parked? Car emissions can be divided in to three categories: exhaust emissions, abrasion emissions and evaporative emissions. Exhaust emissions are created by the combustion of fuels when the vehicle engine is running or idling. Causes of abrasion and evaporative emissions relate to general aging or overall car use. Abrasion emission is corrosion of car parts and mechanical abrasion of tyres, for example. Abrasion causes particulate matter (PM) emissions. PM, also known as particle pollution, is a mixture of extremely small particles and liquid droplets that get into the air. PM when inhaled, can affect the heart and lungs and cause serious health effects. Evaporative emissions are created from vapours from the car’s fuel system. As an example, petrol fuel vapour contains several types of hydrocarbons, emitting outside all the time, when there is fuel in the tank. This is also the case when the vehicle is parked with its engine turned off. Hydrocarbons, especially volatile organic compounds (VOCs), contributes to ground-level ozone and formulate photochemical smog in the atmosphere. These irritate eyes, damages lungs and cause respiratory problems. Diurnal – increased gasoline evaporation when temperature rises and the fuel tank is heated up. Running Losses – hot engine and exhaust system vaporise gasoline when the car is running. Sitting Evaporation – car’s engine remains hot a certain period of time after it is turned off and gasoline evaporation continues even when car is parked. Adding Fuel – gasoline vapours are always present in fuel tanks. These vapours are forced out when the tank is filled with liquid fuel. Are there other sources of emissions in parked cars? While mostly known evaporative emissions listed are related to fuelled cars, there are also studies showing car showrooms air and car interiors include PM and VOC emissions. How about the use of on-board electrical equipment? Do the use of electronic equipment create pollution and with what extent? Or what if we could measure “New car smell”? The question is, do we know the extent of pollution created by parked cars? So, it seems that parked cars create pollution in several ways. The question is, do we know the extent of pollution created by parked cars? And how much do they affect on our daily lives? 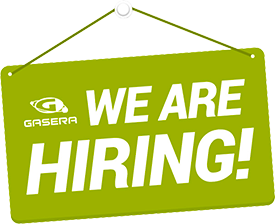 The measurement accuracy level and ability to evaluate the extent can be reached today with Gasera’s photoacoustic multi-gas analyzer GASERA ONE SHED. It is optimized against Sealed housing for evaporative determination (SHED). SHED is the evaporative emissions testing method used by the EPA (The United States Environmental Protection Agency). The GASERA ONE SHED enables us to reach more sensitive and selective measurement data about evaporative emissions compared to previously used instrumentation. Accurate measurement of the pollutants is the first step in understanding toxics around us. Gasera Ltd. continuously develops methods to detect critical pollution. For automotive, GASERA ONE SHED is one step towards improved measurement and less greenhouse gases .